So today I placed my first order for a Rarmandu! I’ve never owned any Swamp Rat or Busse. I’ve been using a Rat-7 and a falkniven f1 for at least the last 6 years and decided it was time for a new knife. I’ve only heard great things about the Ratmandu and I am extremely excited! 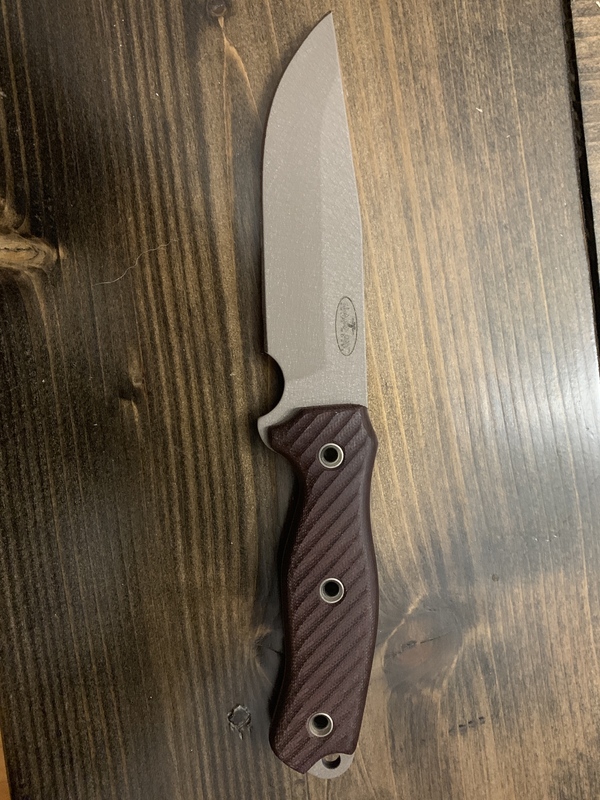 I opted for the desert sage blade finish with the maroon Micarta. While I haven’t seen a picture of what this combo will look like it looks great on my head and I know time is going to feel so slow until I get my hands on it. uGAshooter, Uncle Timbo and Hard Knocks like this. Congrats on the purchase, very nice knife. Be sure to post up pictures when you get it (I like using imgur). Also, the ratmandu looks really nice with the coating stripped if you don't like the color combo . I'm a bit biased. 2nd from the top is the ratmandu. I actually traded mine off yesterday because I have a knife that I like a little bit better for my uses in the same size range, the LT wright bushcrafter mark II. And now I have an excuse to get black micarta handles to match the rest. You can tell which one gets the most use... though that's probably mostly because I got that one first. The SYKCO 911 (tan handle) has been beaten pretty decently the past few weeks after this initial stripper pic. Awesome collection! And yeah I stripped my Rat-7 after wearing the powder coat on it enough, but I do like all the customization the ratmandu offered. I swear I had 6 different color combinations in my shopping cart before sticking with one haha. Great blade, I'm sure you'll love it! Post pics when it arrives. Hey guys! So I have been spending this week looking at a bunch of different sheaths. 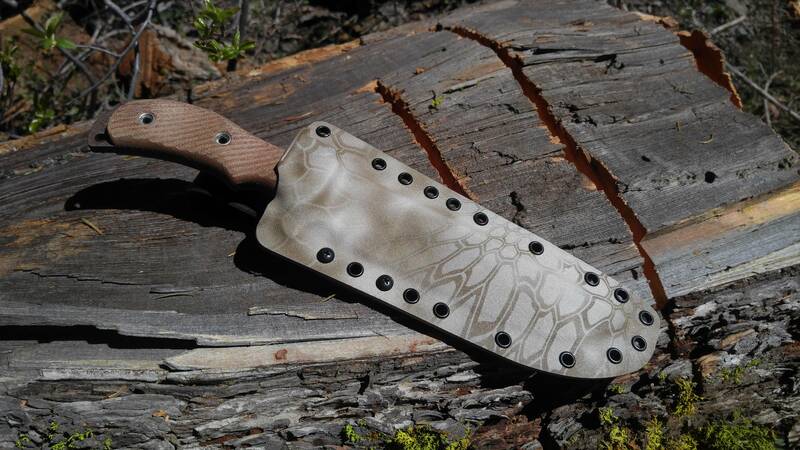 Can anyone point me in the direction to someone that makes leather sheaths for this knife? I am trying to get one before I get my blade, I think I still have plenty of time haha. And JRE industries model N will fit the ratmandu also. JRE is who makes LT Wright's sheaths and it's what I had for my RMD but the two gentleman above do a nice job, along with a few others but they're the two I've looked at or worked with for custom work. Uncle Timbo and azwelke like this. Thank you for the quick response! I will definitely go check them out. Thanks! @cpirtle has been putting out a lot of great leather bussekin sheaths as well. In addition to the other makers above, there's one on the exchange that was built by Chuddy Bear. That maker is excellent (don't think he's taking orders any more tho) and that's reflected by the price on it. Not leather, but if you don't find what you're looking for, the spec ops short is a pretty good match for the RMD. Uncle Timbo and ilyk like this. Thank you all very much for all of the help! After much thinking I have decided to go with a Kydex sheath from @azwelke. I just moved and now that I live in a snowy and wet environment it just makes more sense. And those kryptek colors won me over! Again thank you everyone and I can’t wait to post pictures of it all as soon as it comes in. Will do! I ordered it in the Neptune kryptek. Should all look pretty cool together. Hard Knocks and inkynate like this. I generally prefer kydex, on Welke. 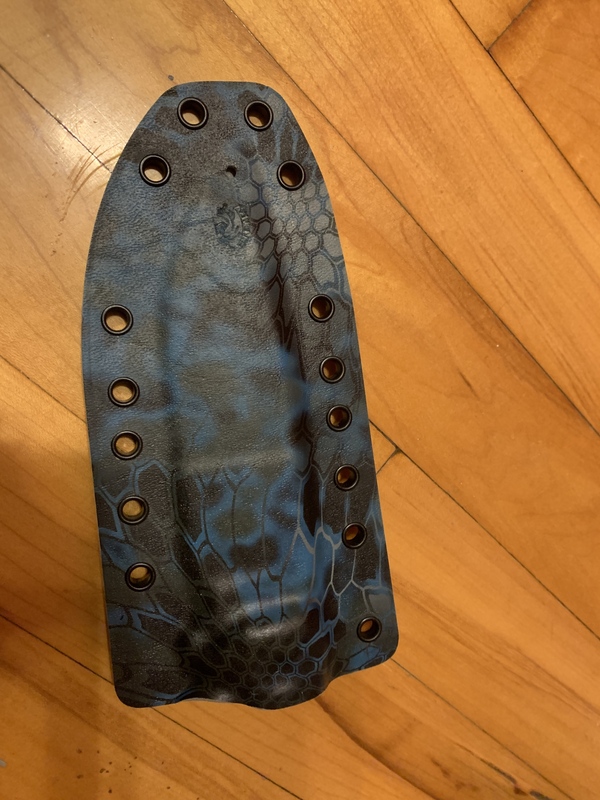 I received my sheath from azwelke today, looks amazing! I’ll make sure to post another update whenever I recieve my Ratmandu, with better lighting hopefully. She’s here! Love this knife! Everything is great and so much attention to detail in it. Awesome color combo as well if you ask me! uGAshooter, Hard Knocks and Mkwaffles4 like this. I like that one with the maroon!